"Quite a while ago my son George Dyson handed me a batch of comments dated Oct. 29 - EDGE 29 (What Are Numbers, Really? A Cerebral Basis For Number Sense", by Stanislas Deheane and Nov. 7 - EDGE 30 (the subsequent Reality Club discussion) by your group of EDGE researchers. I read it all with great interest, and then my head started spinning. Anyone interested in the psychology (or even psycho-pathology) of mathematical activity could have had fun watching me these last weeks. And now here I am with an octopus of inconclusive ramblings on the Foundations bulging my in "essays" file and a proliferation of hieroglyphs in the one entitled "doodles". It is so much easier to do mathematics than to philosophize about it. My group theoretic musings, the doodles, have been a refuge all my life. Although I am a mathematician, did research in group theory and have taught in various mathematics departments (Berkeley, U of Ill in Chicago and others), my move to Canada landed me in the philosophy department of the University of Calgary. That is where I got exposed to the philosophy of Mathematics and of the Sciences and even taught in these realms, although my main job was teaching logic which led to a book on Gšdel's theorems. To my mind the pure philosophers, those who believe there are problems that they can get to grips with by pure thinking, are the worst. If I am right you Reality people all have a definite subject of research and a down to earth approach to it. That is great. There are two issues in your group's commentary that I would like to address and possibly clarify. For a refutation of Platonism George Lakoff appeals to non standard phenomena on the one hand and to the deductive incomplenetess of geometry and of set theory on the other. First of all these two are totally different situations, to each of which the Platonist would have an easy retort. The first one is simply a matter of the limitation inherent in first order languages: they are not capable of fully characterizing the "intended Models", the models that the symbolisms are meant to describe. The Platonist will of course exclaim: "If you do not believe in the objective existence of those standard models, how can you tell what is standard and what is not ?". The deductive incompleteness of a theory such as geometry or set theory, however, simply means that the theory leaves some sentences undecided. Here the Platonist will point out that your knowledge of the object envisaged is incomplete and encourage you to forge ahead looking for more axioms, i.e., basic truths ! Incidentally I consider myself an Intuitionist not a Platonist. I wonder whether it is appropriate for me to send you my rather lengthy discourse on non standard phenomena. You may find it tedious. Yet I believe that the question how it is possible for us to form ideas so definite that we can make distinctions transcending the reach of formal languages is pertinent to your topic "what are numbers really?" It is very difficult to put these phenomena into a correct perspective without explaining at least a little bit how they come about. The other contribution is a simple illustration of the naive mathematical mind at work on the number 1729! And a remark about a prodigy." VERENA HUBER-DYSON is a mathematician who received her PhD. from the University of Zurich in 1947. 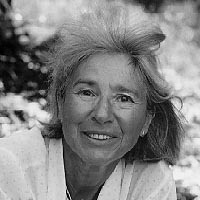 She has published research in group theory, and taught in various mathematics departments such as UC Berkeley and University of Illinois at Chicago.She is now emeritus professor from the philosophy department of the University of Calgary where she taught logic and philosophy of the sciences and of mathematics which led to a book on Goedel's theorems published in 1991.